This past week the Australian automotive industry lost the skills and experience of a very capable CEO, simply because he made the right decisions. What this proved was that a combination of weak management, a severe shortage of commonsense, hubris and lack of flexibility in decision-making is costly – to all involved. Richard Emery, up until last Friday, was CEO of Nissan Australia He took the job in February 2014, and despite heroic and strenuous efforts by the then interim CEO, to clear excess stock, there were still 40,000 unsold cars sitting at Nissan’s holding yard and on dealers’ lots. Mr. Emery undertook an urgent and stringent review of Nissan’s Australian operations and made the pragmatic and surprising decision to withdraw all of Nissan’s passenger cars from its catalogue, and focus on the company’s core strength – SUVs and pickup trucks, plus two high profit sports cars. His experience and his innovative thinking resulted in clearing out the old stock, trimming the company’s cost base, creating a business plan with improved economy of scale and setting up a path to improved profit margins, both for Nissan and its dealers. Richard Emery’s resumé clearly underscores his business acumen and wide range of experience (and success) in the volatile Australian automotive market – where more than 60 different brands of cars fight for oxygen in a crowded market. Here’s Emery’s background, and note the relatively long tenure in each of his former roles, which tells me he was valued for his contributions. 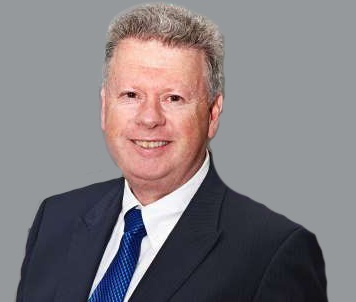 The decisions he implemented at Nissan Australia were aimed at bringing stability, and a robust cost base for a company, which quite frankly, has meandered confusingly for many years prior to Richard Emery’s appointment, apparently lacking real leadership. Its actions confused both dealers and consumers. I had a unique window into the level of confusion about to occur following an interview I had in 2012 with then current CEO of Nissan Australia, American Bill Peffer – whom I have heard others describe as like a ‘lightweight suit’. Peffer emphatically told me he saw enormous opportunity for Nissan’s range of cars, and subsequent to that meeting I witnessed a massive increase in numbers, and an ever-widening range. History now tells us that many of those cars were among the thousands which were sold off by Richard Emery’s emergency plans to stabilize Nissan Australia. Bill Peffer was gone less than a year later, but his decisions lingered on as the company’s costs escalated almost out of control. Richard Emery had outlined his plans to Nissan’s head office in Japan earlier this year, and while one could assume it was less than pleased with the decision to cut passenger cars, there must have been nodding approval for Emery to go ahead. Then in June of this year, during a visit to Australia by Renault-Nissan-Mitsubishi Alliance superstar, Carlos Ghosn, and a review of business plans for Nissan Australia, Richard Emery’s innovative proposals unraveled. Not having been briefed on the shock moves before his visit, Ghosn apparently took umbrage that Nissan’s reputation would be severely damaged by not offering passenger cars in its Australian product line. One can only assume that Richard Emery’s direct reporting line in Japan chose not to apprise Carlos Ghosn of the extent of the changes Emery charted – allowing Mr. Ghosn to discover for himself during his Australian review meetings. Last week, Richard Emery, a bright, engaging, energetic and positive executive left the Company, and was replaced overnight by a young Canadian, Stephen Lester, who had been Managing Director of Infiniti in Canada. It appears that all Emery’s product plans will be undone and rewritten to reinstate passenger cars, and that leaves Lester with the unenviable task of trying to make the new plans work; increase market share; and incidentally, find a way for the company to make money and be profitable. Good luck with that then. No-one has ever said that justice has a role in business, but in Richard Emery’s case what makes me sad is that his intensive cost-cutting, his plan to only offer vehicles which will sell in profitable numbers, and his stabilization of the company will bear fruit under Lester’s watch. However, by the time that happens Nissan Australia will have lost its best chance ever to remain relevant, and profitable, in the cutthroat Australian market. ZB HOLDEN COMMODORE - GOOD ENOUGH?